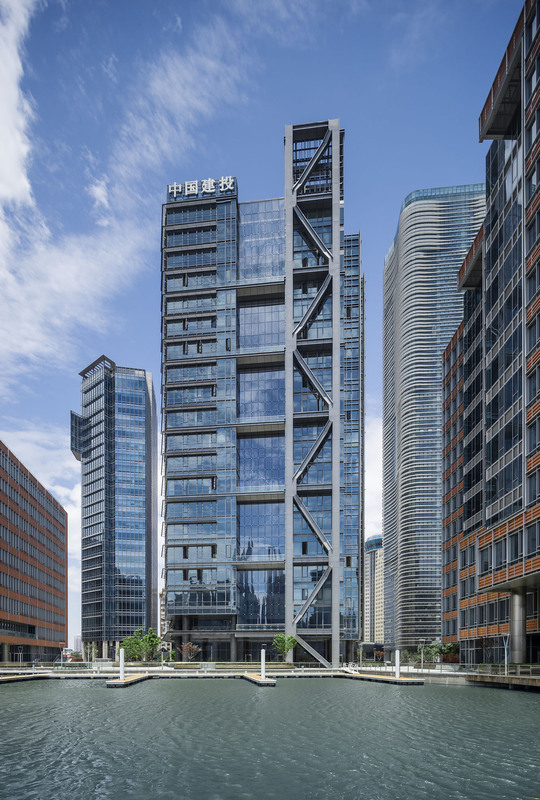 Huishan North Bund, a 255,000 m2 mixed-use development, enjoys “front row seats” facing Shanghai’s Pudong skyline and the bustling Huangpu River. After 150+ years when this historic stretch of riverfront was occupied by maritime uses, this once sequestered site has become Shanghai’s next great place—reuniting citizens with the waterfront by means of a public plaza, esplanade, and marina serving as the project’s centerpiece and creating a one-of-a-kind brand. 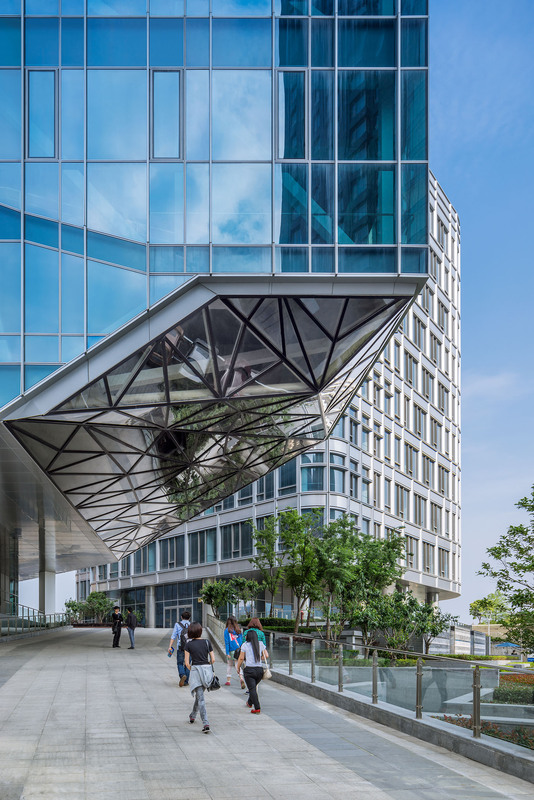 Comprising six office buildings, a shipping exchange, a SOHO tower, and a retail building with shopping concourse—all framing the marina and plaza–the architecture of varied expressions establishes individual corporate identities. 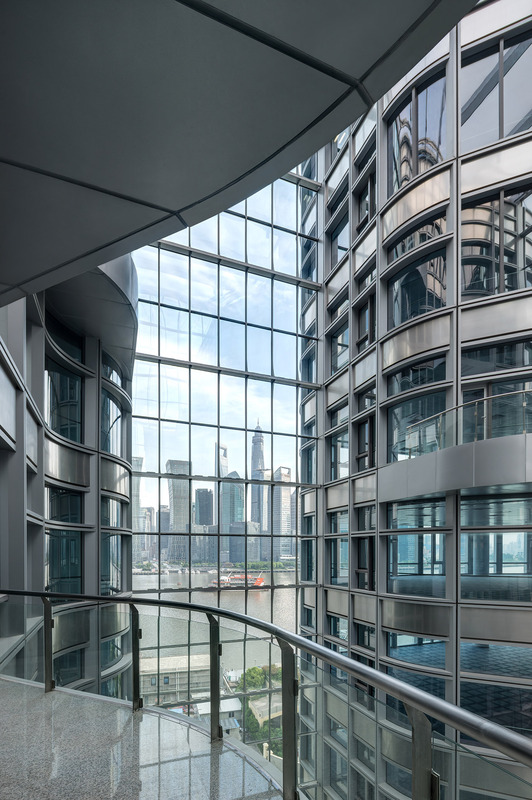 Differing curtainwall façades of aluminum, stainless steel, granite, terracotta, and high performance glazing enable controlled absorption of sunlight and of the marina’s reflected light. 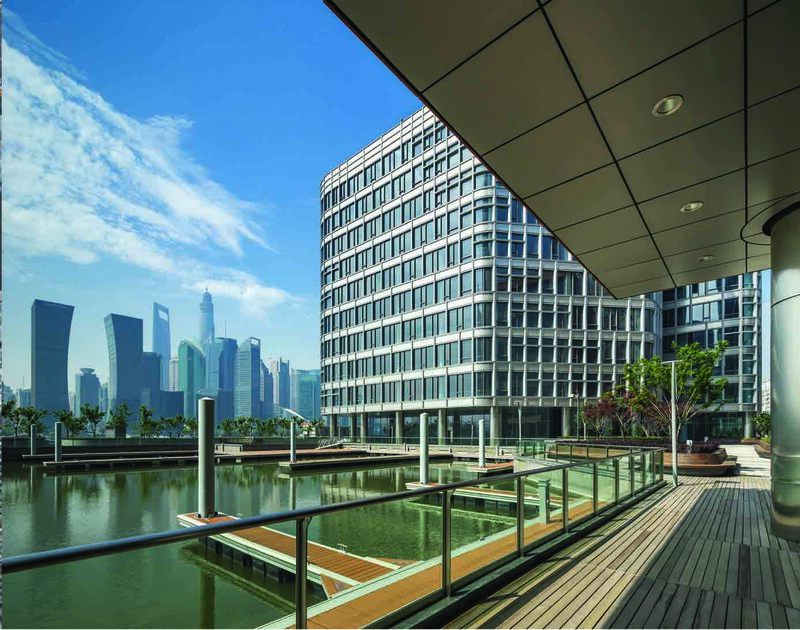 All buildings include accessible green roofs, rainwater harvesting, ice storage, greywater recycling, water-conserving fixtures, operable windows, raised floor, and a centralized Building Automation System. These features, together with convenient access to multiple modes of transit (ferry, two subway lines, bus), form a comprehensive sustainability program. 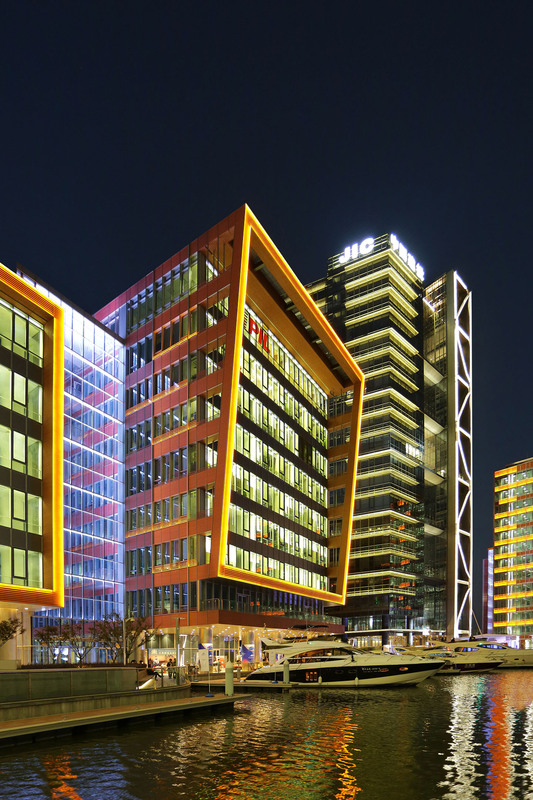 The development has received LEED, BREEAM, and China’s Green Building Assessment Standard certifications. 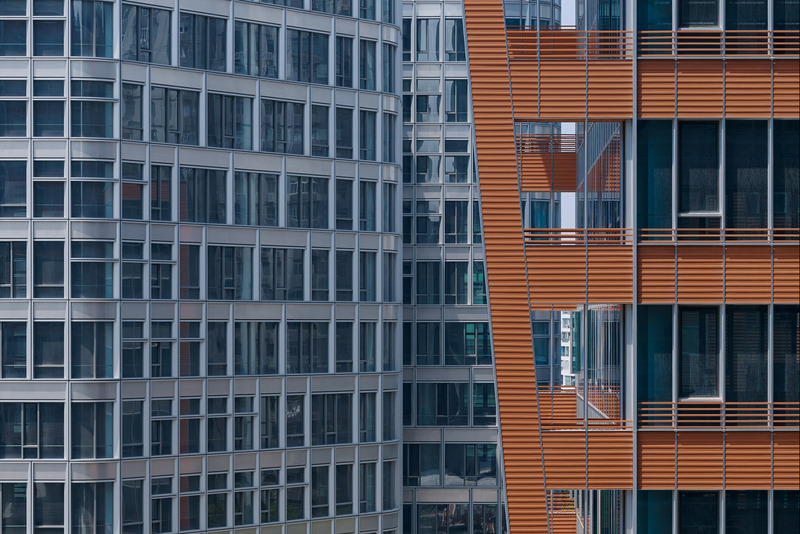 At the sky-lit retail concourse level, each building offers employee amenities including fitness center, cafeteria, conference center, day care, and convenient shopping with direct connections to public transit and adjacent developments. Notably, the 12,000 m2 marina is the District Energy System’s source for heat rejection and a storm water reservoir. The marina also creates a beneficial micro-climate for the surrounding plaza through evaporative cooling in warm months.